How to most effectively explore underwater? I see cool looking structures underwater sometimes but I never find it worthwhile to try and investigate them - it's dark and I can barely get to the bottom before I need oxygen. Is it even worth exploring underwater? If it is, what are some effective strategies for doing so? I have found a few entrances to mineshafts and caverns at the ocean bottom, so I'd say it is certainly worth exploring any interesting features you come across, like weak sources of light (from lava or torches) or areas of oddly sunken sand. A good helmet: First and foremost, you should get yourself a helmet enchanted with Respiration, ideally the max level of III. This lets your air last for much longer underwater. 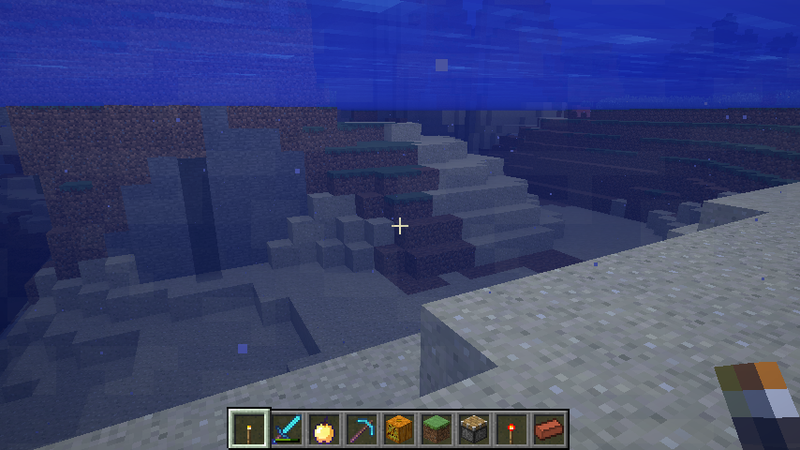 It also helps to have Aqua Affinity on the helmet too, which allows you to mine faster when underwater. If you don't get both of these when enchanting a single helmet, remember that the new anvil tool let's you combine two enchanted items so that you can consolidate and improve enchantments without having to keep rolling the dice at the enchantment table. Waterproof lighting: You need to be able to see deep under water, so you have to bring waterproof sources of light. Torches are out, as water will knock them off, but jack-o-lanterns and glowstone blocks work great. Making air pockets: Respiration-enchanted helmets can only do so much, especially if you want to reach really deep depths under water. You'll want to bring items that you can place on the ocean floor which will displace the water source blocks and give you an air pocket where you can catch your breath. Things like ladders and signs work great for this. It has a clear water setting that will allow you to easily see through water, allowing you to explore without needing to dive to the bottom. It's a client mod, so it'll work with all servers. 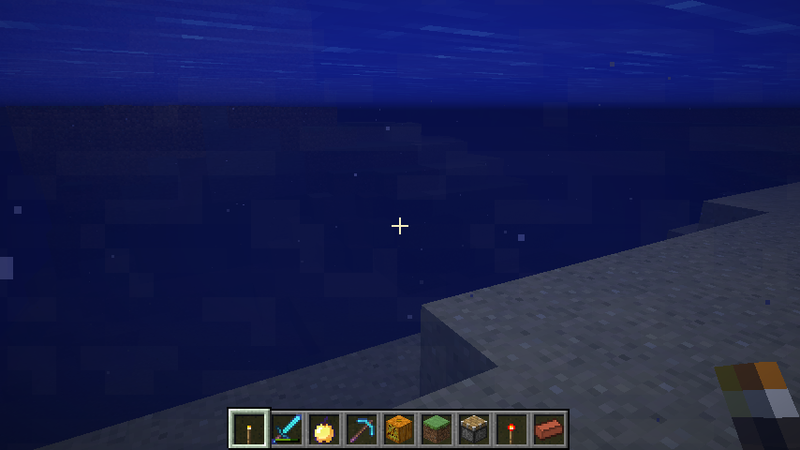 Potions of Night Vision works best underwater not just at night, but also daytime. What's the easiest or quickest way to build bases under water? How can I build an underwater tunnel? Can I use Redstone underwater? Do alternative dimensions depends on the world seed? Why does my AE Crafting System lose its jobs when I'm no longer present? Are Underwater Ruins useful for anything?